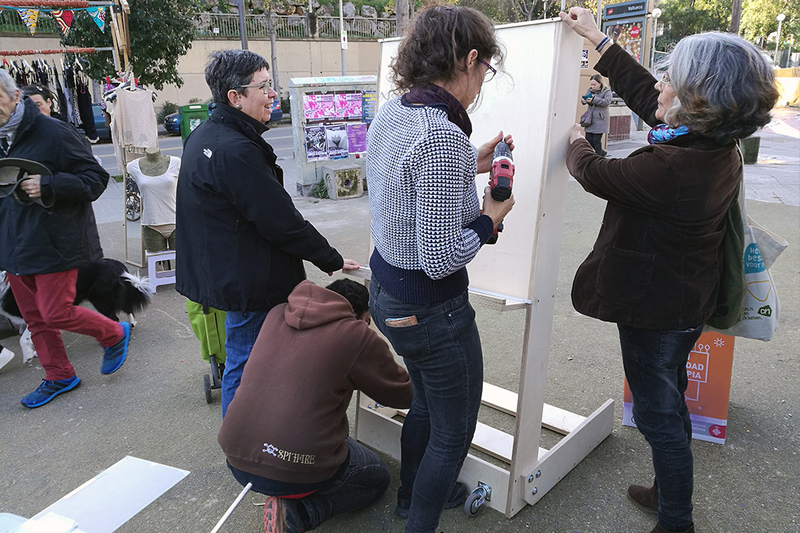 Purple point of the La Salut district is a mobile feminist information point designed and executed with the workers and participants of the Community Plan of La Salut. 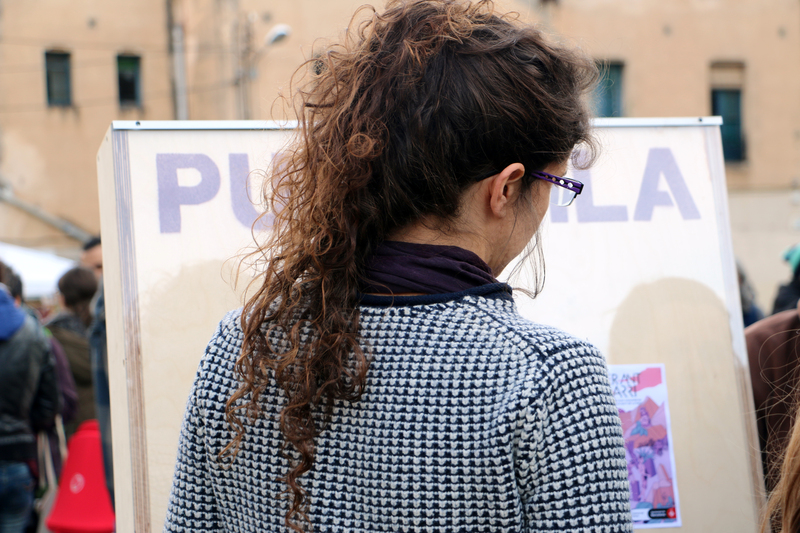 It is a stand where the various entities that work at the wheel of gender and feminism disseminate information and programmed activities. 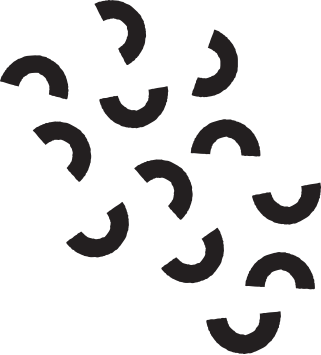 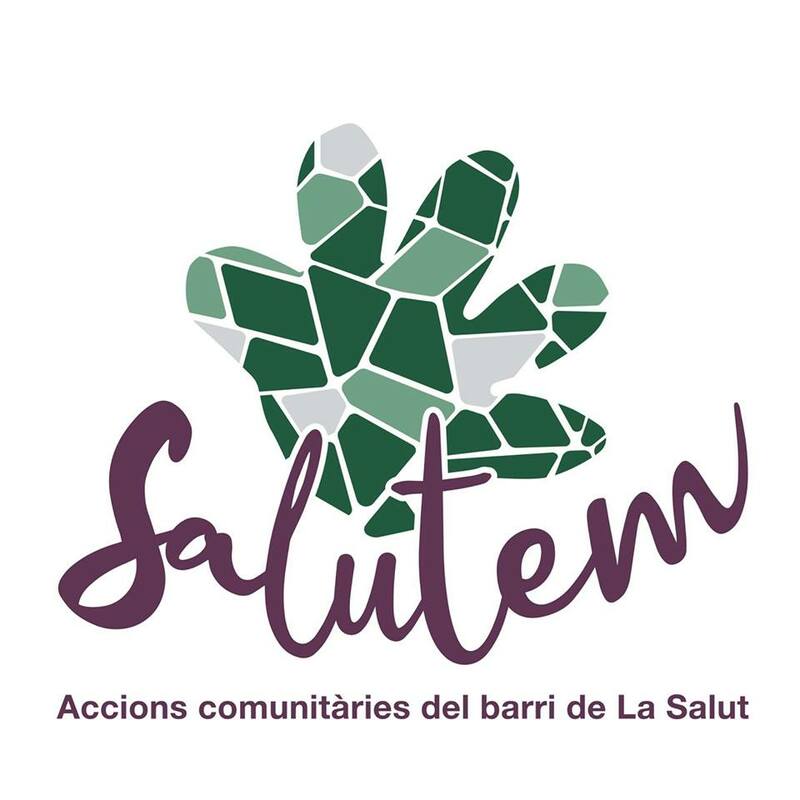 The Community Plan of La Salut groups entities, groups, services, neighbors and neighbors who want to respond to the needs of the La Salut neighborhood, with community actions and networking. 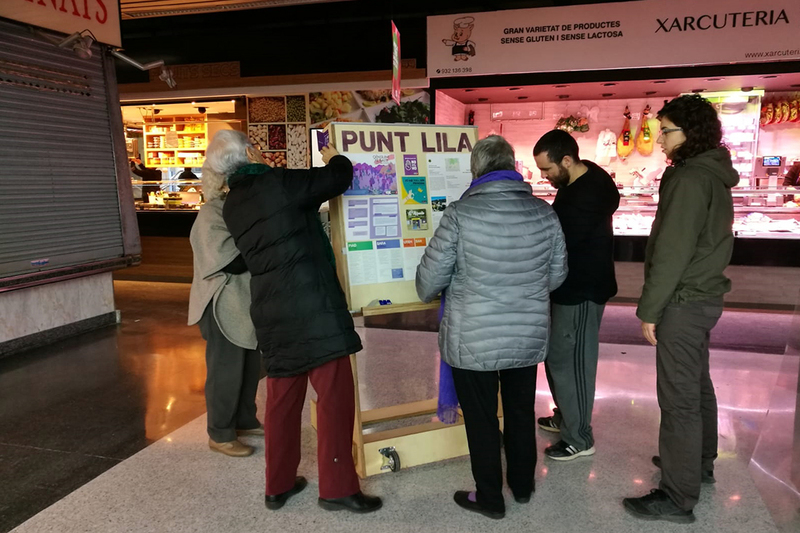 Purple point is part of the empowerment of women, the creation of feminist conscience, and the prevention of violence through access to information and the approach to the groups of women, youth and adults in the neighborhood. 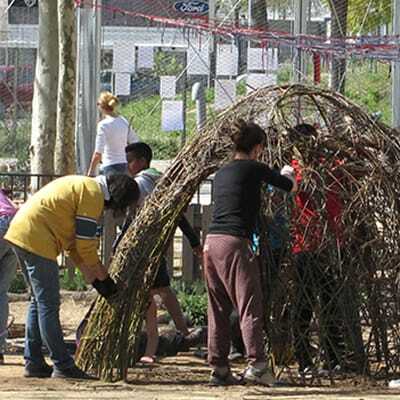 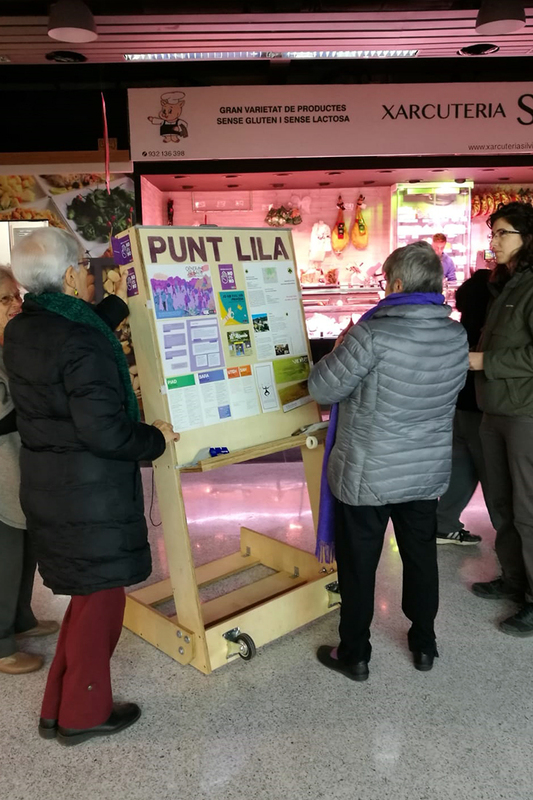 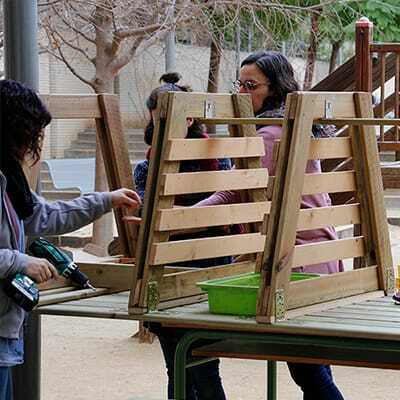 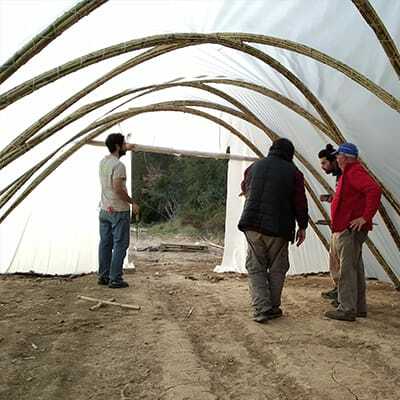 Purple point has been constructed through a community workshop at the farmers market in Vallcarca. 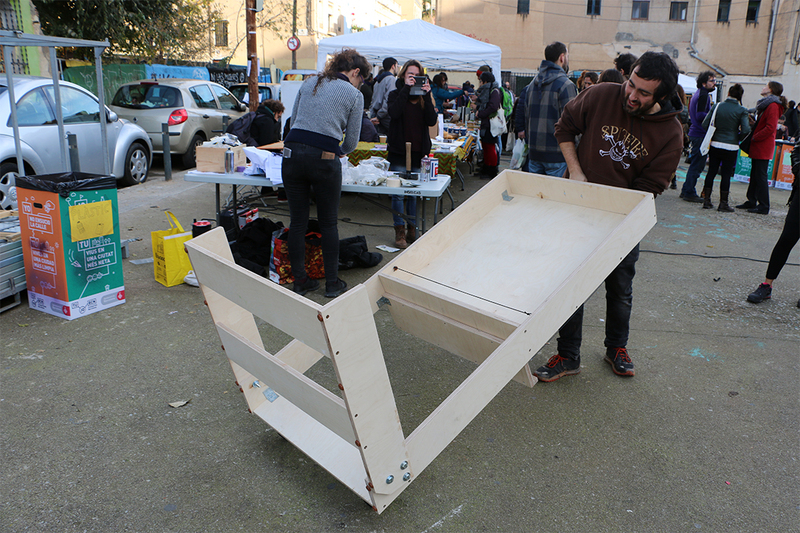 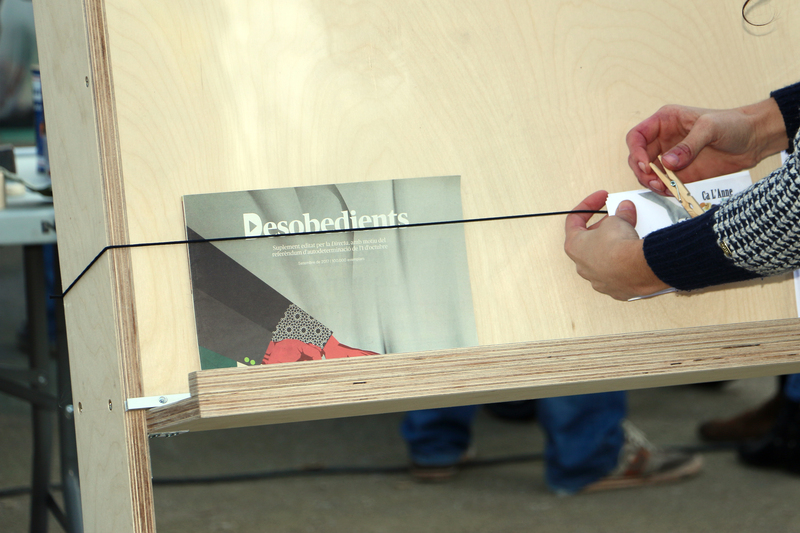 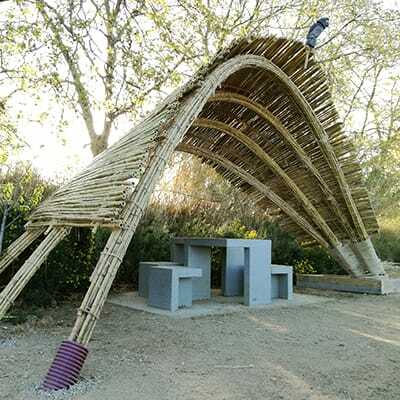 It is an artifact designed to be constructed from a single plywood panel of 21mm carved in workshop and easily mountable with the participation of the interested people. 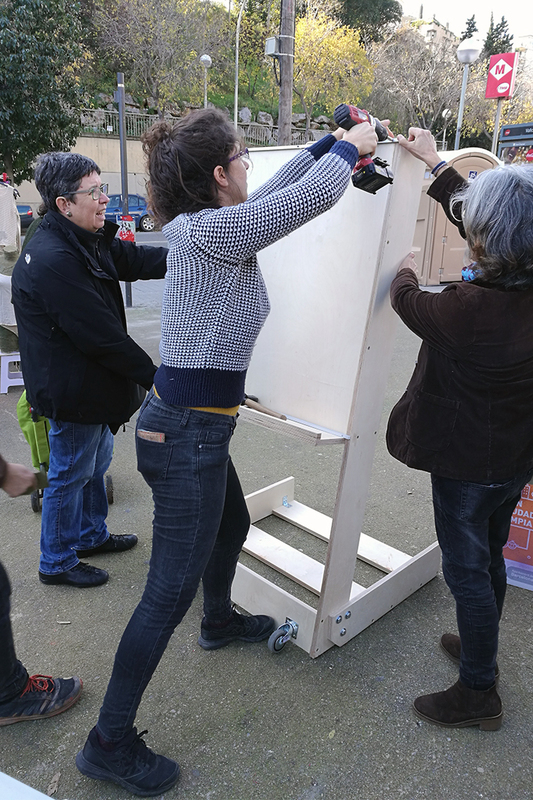 It is also folding and mobile on wheels and allows to vary its location easily.